I’d like to thank everybody for their commitment and contribution to the Go Girl, Go for IT program. The event was two years in the making and fully volunteered and 100% sponsored. Our volunteers very generously donated several hours of their personal time for this cause, including some that were involved for the whole two years – and that is dedication! I’d also like to acknowledge and thank our sponsors, without whom the program would not be FREE to attend and accessible for the 1750 Victorian girls who joined us at Deakin University, Burwood in August of this year. Research suggests that from a very young age, a girl’s self-image of what she is and isn’t good at is set. So as an experiment this year, we extended the invitation to years 5 and 6 for the first time ever. The experiment was a success with very positive feedback from the primary school girls. Therefore we’ll be looking to expand that in the next Go Girl event. As we expanded the age group, there were some logistical complexities with having content targeted to such a broad age range, and we’ll be looking to improve in the future. I’d also like to take this opportunity to thank Fi Slaven who was our previous MD and did a stellar job at leading the Go Girl ship for six years. 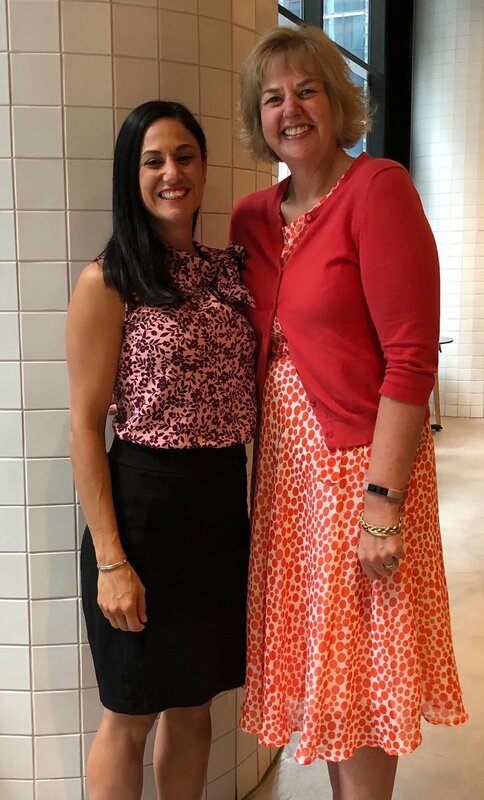 It’s a huge honour to take over Go Girl from such an inspirational leader and I intend to continue Fi’s course of continuous improvement for our program so we evolve with the times. I’m so excited for the next Go Girl event. We’ve already started planning with a Design Sprint held in November and we’ll be forming our structure and teams in the first half of next year. We intend to continue to shape the program ensuring we avoid unnecessary complexity and focus on high-value features. We’re collaborating with other partners who are on the same mission to turn the dial and increase the pipeline of women into IT, and we’re innovating on our program to continue to reach #anygirl4IT and make it fun and exciting. I wish you all the very best for Christmas and the New Year and hope you get to enjoy the festivities with your loved ones. Newer PostMarch 2019 Newsletter - We're Back! Older PostJune Newsletter: less than 3 months to go!